Have you ever been cruising along Instagram when suddenly you see a product that makes your thumb stop in its tracks? That was me with Pampa. I simply HAD TO HAVE that perfect round pillow. I immediately started following them on Instagram and enjoyed learning more about their design influence, product lines, and collaborations with artists and makers around the world. 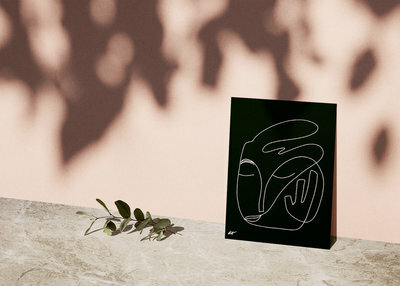 It’s such a pleasure to discover a new brand in the age of Instagram; I hope that this interview with Victoria Aguirre, one of the founders of Pampa, leaves you as inspired as myself. Tell us a little bit about how Pampa got started. My first year in Australia I was very homesick and didn’t really know what to do for work. I’d always been self-employed as a photographer, graphic designer, and journalist and couldn’t find my right path while settling in Australia, but I knew I had to do something creative and challenging. I guess Pampa was born in late 2013 from the nostalgic side of missing home and from the inspiration of traveling together through different places in South America and admiring nature, culture, art, and crafts. We travel to Argentina two to three times a year tracing a map between Australia and Argentina, covering the miles and bridging the distance between our two homes. I see you work with artisans in Argentina, how did that get started? Do you think you will ever expand beyond Argentina? The first reactions of the weavers are usually a little apprehensive; as it is not often they basically have somebody knocking on their door asking for rugs. Especially having Carl, a blue-eyed guy with strange sounding spoken Spanish, luckily I’m Argentinean so that obviously helps a lot. Upon our return next trip, we are usually welcomed in with arms, and they are excited to see us again. We love spending time with the families and hearing their stories. Now we created a solid group of amazing artisan partners that we work all year round, side by side. But, yes, every trip is memorable for us both. Every trip we learn something new from them and get to experience amazing opportunities of shared cultural experiences. I just love spending time with the weaver’s kids and their animals, sometimes I find myself with a little llama, sheep or goat that has just been born, on my lap while designing a rug. But in saying this, it’s not just the connection with the weavers, it’s also memorable for us to have these experiences with nature. Breathless moments traveling just the two of us through remote areas. We work with weavers in Chile as well and have a small collection that we launched last year called ‘Sur’ and we are looking at expanding to other South American countries. How would you describe your overall brand and aesthetic? Pampa’s aesthetic is very much influenced by our quest to rediscover Argentina’s threatened cultures and revive lost weaving traditions. All our designs and colorways are deeply rooted in the country’s heritage and a product of generations of artisan knowledge and skill. How does Pampa differ from other textile or homeware companies? We are authentic, raw, genuine and working from the heart with artisans that we love, respect and admire. I would say Pampa has a lot of heart in it, and we believe that this carries on a great energy through our products. Also, all of our rugs are woven with yarn that has been hand-spun, not machine spun. Something that I believe can be rare these days even with hand-woven rugs. This means our rugs are 100% handmade and gives them those inconsistencies in design and color tones that we love. I see on your website it states that your goods are 100% handmade, you abide by fair trade practices and your goods are natural and sustainable. Can you tell us a little more about that initiative? I can’t imagine working with these beautiful artisans and not paying them correctly. Once you see the time, effort, experience and skill that is put into each piece, you realize just how much they all deserve. The profits that each artisan makes are reinvested back into their family, used to cover day-to-day living expenses such as buying food and clothing, paying school fees, accessing medical care, and sourcing new tools and materials for weaving. Earning a fair wage has enabled the weavers to form their own cooperatives, giving individuals the added benefit of sharing materials, ideas, and workloads. This flexibility means that the weavers can work from their homes and villages, eliminating the need to travel long distances to sell their rugs or find alternative employment in big cities. Respecting each individual artisan’s creativity and technique helps to give communities a stronger sense of cultural independence and pride. Showing our artisans the real value of their work demonstrates to the younger generations that weaving is an honorable and profitable vocation, helping to preserve this traditional art form for years to come. Artisans that create our rugs, throws, and cushions all live very similar ways of life. Knowing that they can continue or even return to work within their own communities doing what they know best, is something very rewarding for us. All while keeping traditions alive. How do you see Pampa evolving as a company 5 years from now or even 20 years down the road? In 5 years we’d like to see Pampa doing what we are doing now, but a little bigger and better. The longer we can help keep the weavers passing on their skills and knowledge the better. I hope we are still doing this in 20 years time, it would be great to see more weavers weaving in the future than there are now. That’s the dream anyway! How have you seen Pampa’s style evolve since its inception 4 years ago, where do you see it going? The style is more defined these days, much closer to natures palette. Earthy tones and rusty colors, some greens, and light mustards are in almost every product we design. Pampa means “fertile earth” in Spanish, so I guess along the years we’ve gone deeper into the meaning our name. Nature is our number one inspiration, as I mentioned Pampa means fertile earth, we are very proud of our name. Each individual collection of hand-woven rugs, cushions, throws and our photographic prints are named after the Argentinean landscape from where they originate, every collection has a deeply rooted sense of place. Natural dyes extracted from plants, flowers, vegetables, insects, minerals, and smoke are used to color the fibers, occasionally with the aid of synthetic dyes. The patterns and designs used are passed down through the generations and inspired by nature. How often do you create new lines for Pampa, is it seasonal? Can you tell us more about your process? It’s not seasonal really, it’s very spontaneous and just evolves as time goes on. We work very organically with our weavers, lately, they’ve been very busy weaving customs orders, many of which are going to the U.S. Small collections of very unique rugs are woven in between for stock in our Byron Bay showroom. What is the most important bit of information you’ve learned from running your own business? Stay true to your values, your ideas and don’t pay too much attention to what others are doing. At the end of the day, you want your business to represent your own values and tastes no matter what everyone else is doing. What do you like about working with wool? What are your recommendations for someone looking to clean their wool rug or preserve this material over time? In regards to cleaning and preserving wool rugs, the most important things to keep in mind are – always use a rug pad, don’t store them in dark places and always use a professional with experience in hand-woven rugs to clean them when needed. What can you tell us about your weavers? How are the different regions unique and how do they differ? The weavers that make our rugs are generally women. These weavers are ARTISTS in all forms of living, how they manage themselves to live an everyday life in connection with nature. They have that simple beauty of being who they are and they don’t want to become anything else, they are very proud of their own traditions. They live simply and wisely in a world of older times, filled with identity and truth. They come from all different corners of Argentina. The weavers from high up in the mountainous Andes are very similar to Andean peoples from neighboring countries, whereas the weavers in the lower lands are more connected and identify closer to an Argentinean culture with more of a Spanish influence. This goes to show in the pieces that they weave as well. Where are your favorite places to visit in Argentina? La Pampa and Jujuy provinces. What other homeware brands do you love, follow and draw inspiration from? The Dharma Door, Pop & Scott, Koskela, and Armadillo and Co., amongst so many others! What are you most excited about in home decor? By far textiles and artwork! How do the materiality and design of Pampa goods relate to your company being based down under? Working between Australia and Argentina can be a logistical nightmare. Unfortunately, or fortunately, depending on how you look at it, we can’t just make a phone call or send an email to make an order of rugs, as the vast majority of the weavers live in very remote communities without the internet and usually no phone reception. We have to travel all the way from Australia to Buenos Aires and then drive all the way out to see the various weavers, which can take more time then the actual flight to Argentina. It is these difficulties and the fact that there just aren’t many weavers remaining in Argentina that will prevent these pieces from ever being mass-produced. We work together with the weavers on our designs. We fully respect any input from the weavers, as they know best. 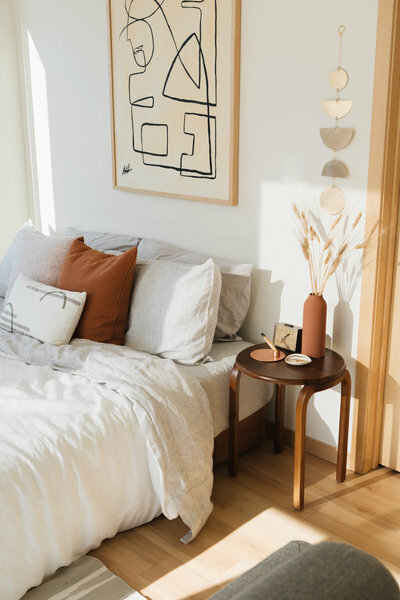 Our main input and influence from Australia is mostly in regards to color palettes that work well in Australian homes, but this influence really is minimal. A lot of the designs of our rugs that seem very contemporary are actually designs of the weavers that have been with them for generations. Every Pampa rugs is inspired and connected to their place of creation. Sometimes a color palette can be taken from the landscape that surrounds that community, and sometimes even a pattern or design is inspired from a mountain, a twisty trail, the flower of the dry forest, their crops, their old legends and stories, so many things are connected to the process of our rugs. This year we’ve started working closer with certain communities in terms of designs and colorways. These are not really what’s on trend, but more so what inspires us while exploring Argentina. We take so many photos during our travels, and in doing this it ingrains certain color combinations and patterns into our minds, this really influences us in the design process when putting together a collection. We see our pieces as far more than just wool woven into a rug. The more we travel around these communities, the more we believe that these creations are an essential part of our artisan’s lives that must be celebrated. Each Pampa rug is interwoven with tradition and a deeply rooted sense of place. Are you working on any special projects lately or partnerships that you are excited about? Though we’ve done custom rugs since starting Pampa in 2013, lately the demand is more than what we have in stock, and clients are getting more specific on requests, etc., so this service has been a great success and is our focus at the moment. Our custom rug service, which allows clients to design their own Pampa rug based on our color palette. We usually stock a wide selection of rugs, but they aren’t always the perfect fit for client’s homes (either the size or the color may not be quite right). We have an in-house design team to help all our clients (including interior designers) create their dream rug too. Apart from this, we have been focusing on new, smaller products including our recently launched Mini Rugs. These Mini Rugs are actually woven by older weavers whom could no longer weave larger heavier rugs and were faced with the reality of not being able to weave anymore. However, with these smaller lighter pieces they are back on their looms doing what they love. Another new collection, called Litoral, has seen us partner with Indigenous communities that live very traditional lives in a totally different region of Argentina. They weave the most beautiful textiles, hand-woven bags and baskets using traditional techniques and plant materials. Amongst other exciting collaborations that we can’t say! I love that their products are all hand-spun and handmade. It’s always different when there’s a personal touch to a product! Maybe I’m not looking hard enough – but could I ask where your couches are from? I love the simple frames! Thanks so much for the mention! We LOVE Pampa & all that they do. The patterns and the material in general are so striking and attractive. Love when there’s a handmade touch to something, it makes things so much more original. That couch tho! It’s all beautiful but where is that couch from! ?